Amazon is one of the best platforms to sell on due to its high regard among users and the high volume of people who use it to shop each day. If you would like to start selling on Amazon, but aren't quite sure what is involved, just implement these seven secrets and you'll be selling in no time. (Well, these tips aren't entirely covert, but you get the idea). Before you can sell on Amazon, you will need an Amazon Seller Account. There are two options to choose from: the Professional Seller Account and the Individual Seller Account. The former is ideal if you are going to be selling medium to high volumes of stock because the flat monthly fee will cover all of your sales and is, therefore, more cost-effective. Whereas if you are starting off small, the Individual Seller Account could be the better option as it charges a per unit fee for every item that you have sold. Amazon has come a long way over the past decade and now sellers no longer have to pack and ship all of their items because Amazon can do that for you. If you choose the Fulfillment by Amazon service, which is better known as FBA, Amazon will store your products in one of its warehouses and ship items accordingly. Not only that, but Amazon will also handle any customer service issues. However, if you'd prefer to be in charge of storing and sending your own products, then simply opt for Self-Fulfill selection. Now, it's time to list the products that you want to sell. You can do this by clicking on the seller dashboard which will take you to the List a New Product section. It's important that you think carefully about your product title because it's how customers will find your items. So, consider the best way to title your product name and remember to include keywords in your title so that it ranks in the Amazon search engine. How you describe your product often determines the level of buyer interest. A detailed description should tell your potential customer everything that they need to know about the item so they can make an informed purchase decision. So, be sure to highlight the features and benefits, and reasons why the product is relevant. What problem does your item solve? What value will it add to a customer's life? Finally, once you have written a compelling product description, you will need to add a call to action to prompt leads to make the purchase. 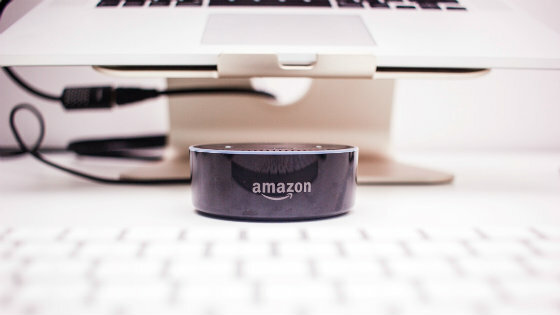 If you would like more control over your brand's product listings, you might want to consider registering your brand with Amazon Brand Registry. One of the key benefits of this option is that you gain access to a feature that allows you to find relevant content in a variety of Amazon stores. Simply put, it makes the listing and selling process easier. Once your Amazon business is up and running, you should consider implementing a digital ad strategy to let people know about your products. Facebook offers a plethora of options for retargeting interested parties. *Psst. * Need some extra help with managing an ad campaign? Request a free quote! The last step is acquiring those all-important product reviews. It is often one of the first things that buyers on Amazon notice when searching for a product because it is usually aptly placed next to the product image. Be sure to reach out to your customers and ask them for honest reviews to become an established Amazon seller. The selling process on Amazon is pretty straightforward. The platform makes it easy as possible for entrepreneurs to sell via its highly-regarded site. In order to become a successful seller on Amazon, it's important to adhere to its customer-focused ethos. By following the aforementioned seven steps, you're on the right track to becoming a flourishing merchant on Amazon!